Everyone at B. Chaney Improvements hopes you and your family have a happy and safe President’s Day weekend! Did You Know? : George Washington’s Birthday, also known as Presidents’ Day, is a federal holiday held on the third Monday of February. The day honors presidents of the United States, including George Washington, the country’s first president. It was originally established in 1885 in recognition of Washington and is still officially called “Washington’s Birthday” by the federal government. Traditionally celebrated on February 22 — Washington’s actual birth date — the holiday became popularly known as Presidents’ Day after it was moved as part of Uniform Monday Holiday Act (1971), an attempt to create more three-day weekends for the nation’s workers. While some states still have individual holidays honoring the birthdays of Washington, Abraham Lincoln (Feb 12th) and others, President’s Day is now popularly viewed as a day to celebrate all U.S. presidents. 1) What former president was on an African hunting trip when his enemy J. P. Morgan quipped: “Let every lion do his duty”? 2) What future president was the only U.S. senator from a Confederate state to remain in Congress after secession? 3) What president’s image graces a $100,000 bill? 4) What future U.S. president received the last rites of the Catholic Church after an infection following spinal surgery in 1954? 5) What war saw James Madison become the first U.S. president to command a military unit during his term in office? 6) What document did President Andrew Johnson want a copy of placed under his head upon his burial? 7) How many U.S. states are named after a president? 8) Who is the only president to have survived two assassination attempts by women? 9) What future president cheated on an eye exam to join the cavalry reserves in the 1930s? 10) What U.S. president installed solar panels on the White House roof? 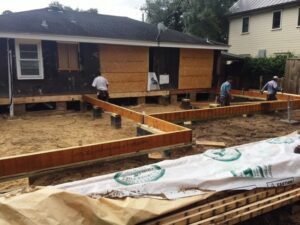 B. Chaney Improvements is a licensed builder with decades of experience building custom homes; remodeling and renovating homes; and doing home repair throughout the Charleston, SC area, including Mt. Pleasant, Daniel Island, North Charleston, etc… If you would like to schedule a time to meet with owner Brad Chaney, contact him here.